From inception to completion - we bring your projects to life! 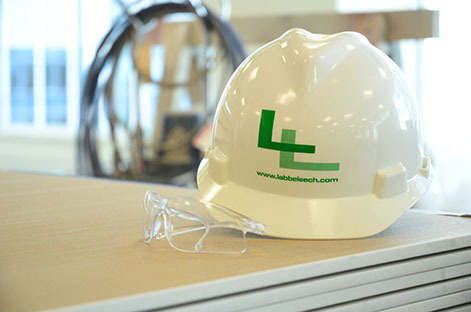 Since 1974, Labbe-Leech Interiors’ reputation has been built on providing Calgary’s best-known medical and industrial corporations and professional firms with complete construction management, office renovation, relocation and expansion services. Our team of dedicated project managers, administrators, in-house construction professionals and a stellar network of sub-trade partners allow us to streamline processes and maintain control over the quality of every project we undertake. We provide and maintain a safe and healthy work environment for our employees in accordance with industry and legislative standards. Labbe-Leech Interiors recognizes the importance of environmental protection, which is why all of our projects are in accordance with the LEED requirements. We’re committed to improving the lives of women, children, and animals in the communities we serve through charitable investments.